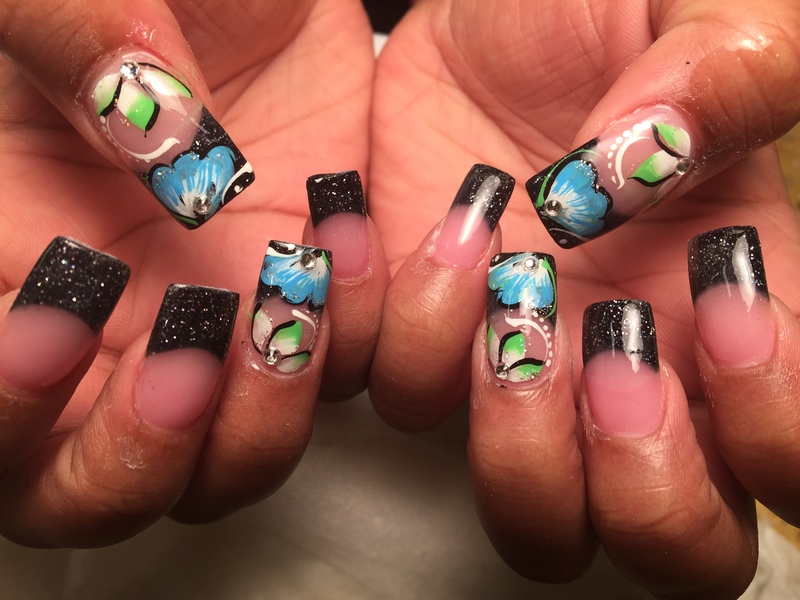 Choice: Sparkly black tip w/flesh colored nail OR w/blue/black and green/white/black flower petal clusters, diamond glue-ons, white dots/swirl, sparkles. Sparkling silver starlight tip, translucent color on nail, bright pink/light pink/white stargazer lily tipped w/black, white/black swirls, white dots, sparkles. 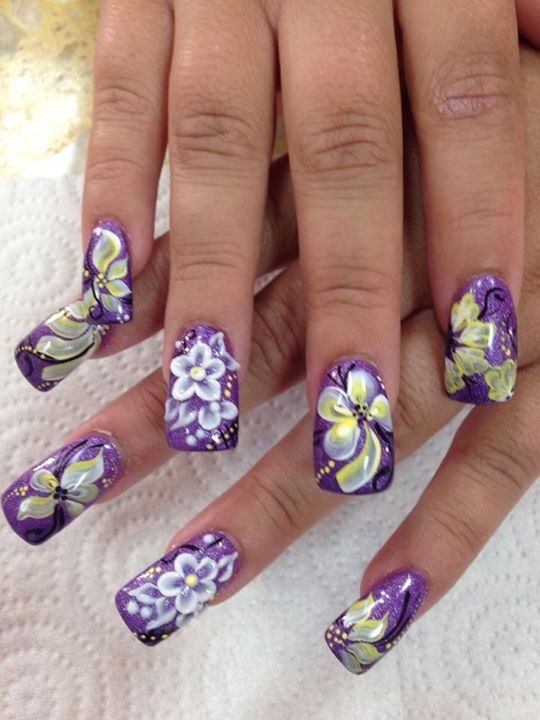 Bright sparkly purple nail w/crystalline white flower and petals, black swirls, white/yellow dots, sparkles, OR white/yellow flower. Purple Tiger Stargazer, nail art designs by Top Nails, Clarksville TN. 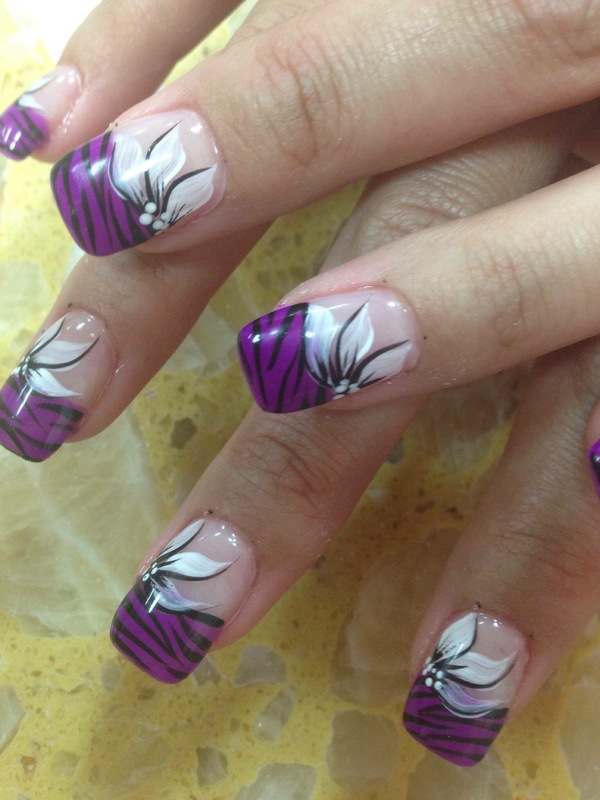 Shiny bright purple tip with black tiger stripes, white/black stargazer lily, white dots, topped w/translucent color on nail. 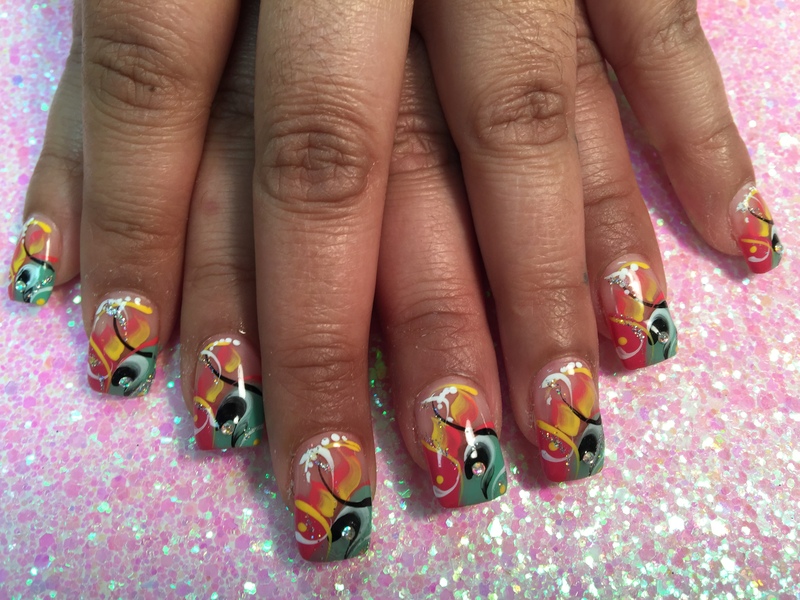 Serengeti Plain Sunset, nail art designs by Top Nails, Clarksville TN. 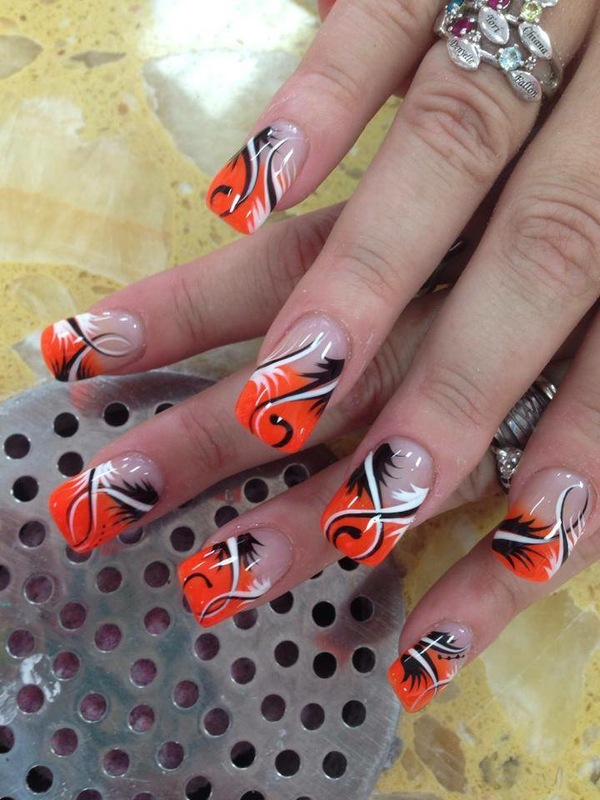 Shiny bright orange tip, w/two black/white tail feathers crossing to either side of the nail, topped by translucent color on nail. 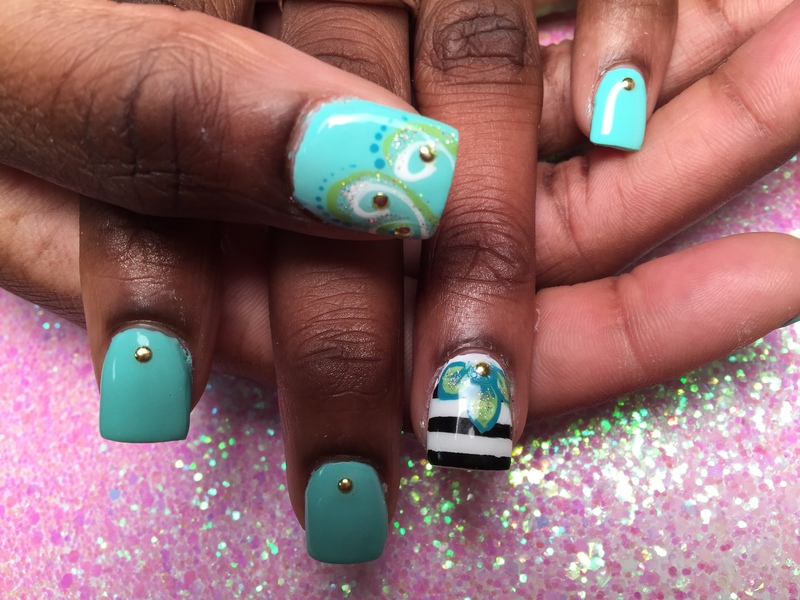 Miami Party, nail art designs by Top Nails, Clarksville TN. 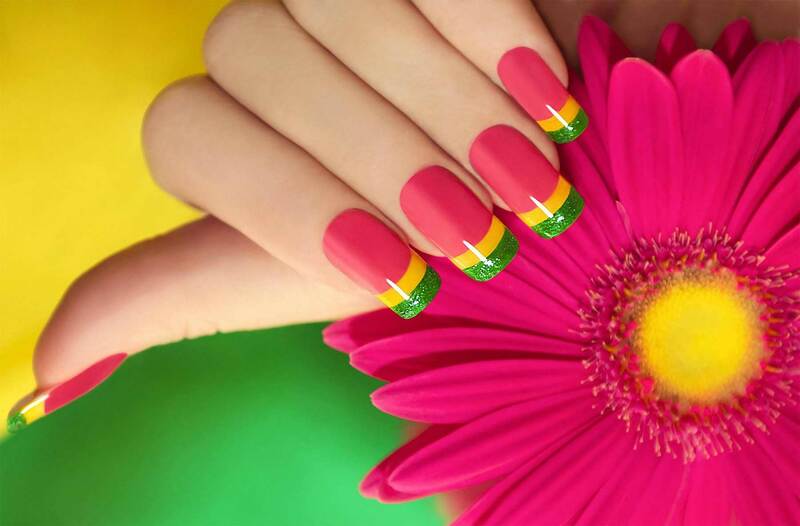 Half-curved light green/half-curved pin tip w/black/white/yellow/sparkly swirls, yellow/pink swishes, white/yellow dots.